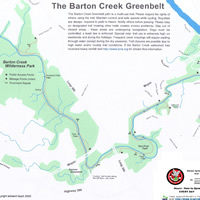 Barton Springs Bike Rental is ideally located in the midst of Austin's hike and bike trails. Just a few hundred feet to the Town Lake Trail, Zilker Park and Barton Springs Greenbelt--there is no need to worry about cars! 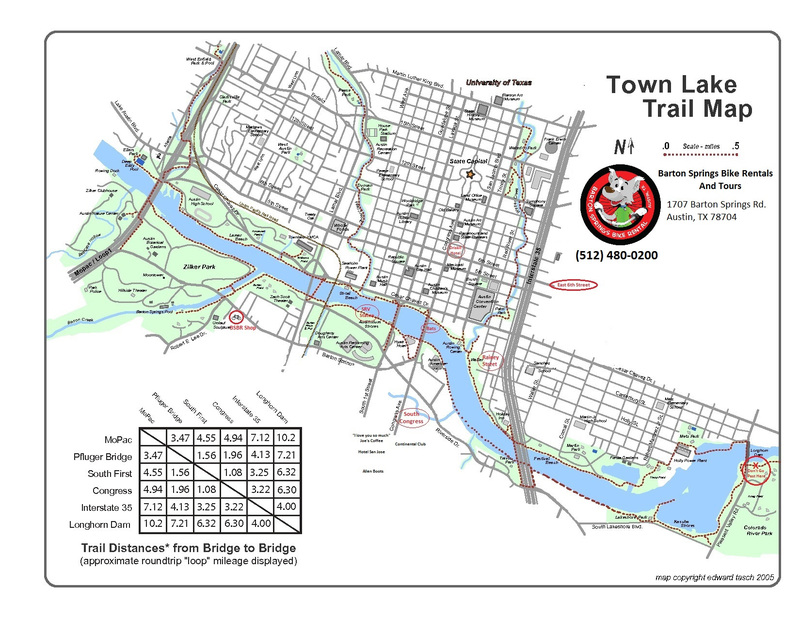 We provide detailed color maps of the surrounding trails along with our expert advice. 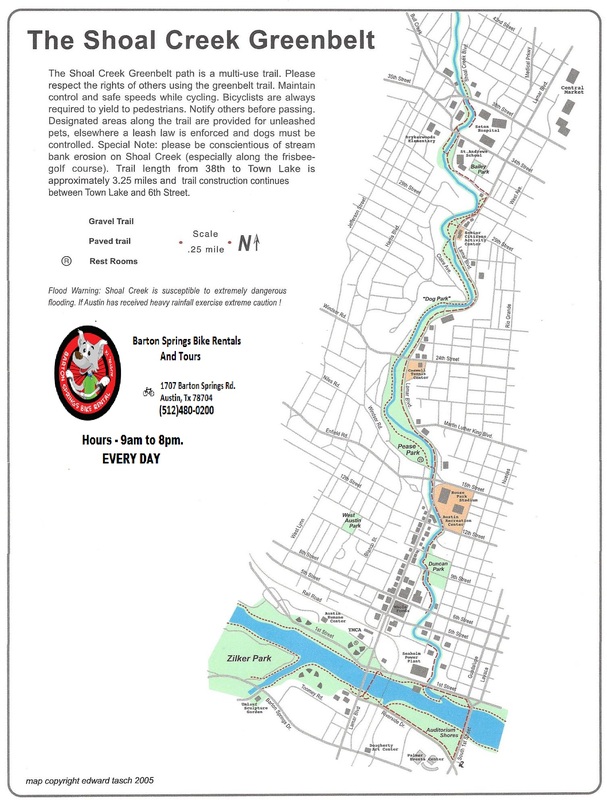 Located less then one block from Barton Springs Bike Rental is easy safe access to Austin's longest bike friendly trail! 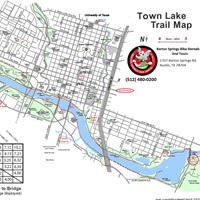 The trail does run around the lake so it is for the most part water level, and moderately flat. The trail is crushed granite, and is a very easy leisurely ride. Ride through the city without the traffic! 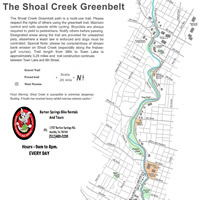 The Shoal Creek trail runs from the northern portion of the lady bird lake 3.25 miles north to 38th street. Mountain bike the Barton Creek's green belt! This is a rougher, technical, more advanced trail outside the realm of our roadside assistance. 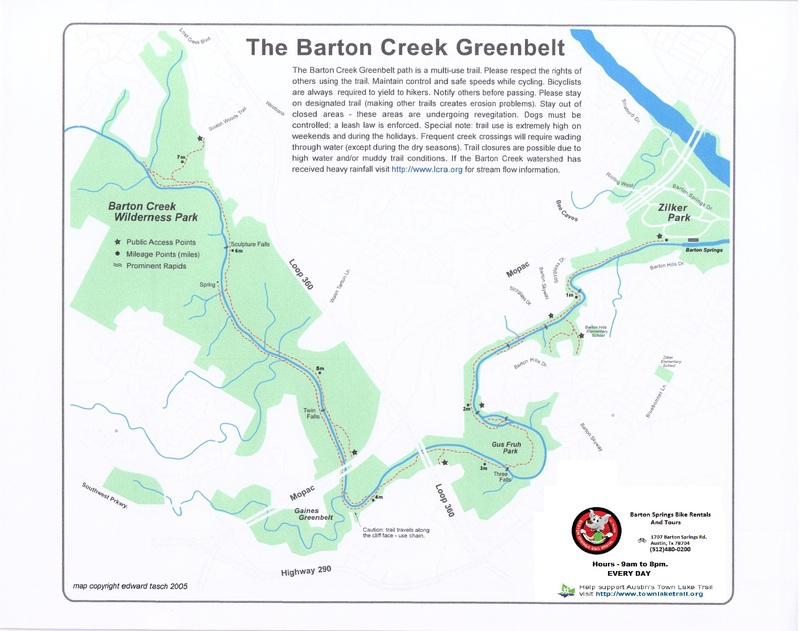 The Green belt trail offers 7 miles of rugged bouncing goodness, and is located less then 1 mile from Barton Springs Bike Rental.